Do you need to know what signal type to select for a wireless application? 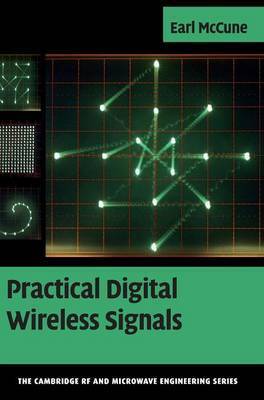 Quickly develop a useful expertise in digital modulation with this practical guide, based on the author's experience of over thirty years in industrial design. 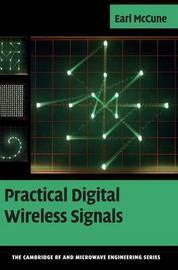 You will understand the physical meaning behind the mathematics of wireless signals and learn the intricacies and tradeoffs in signal selection and design. Six modulation families and twelve modulation types are covered in depth, together with a quantitative ranking of relative cost incurred to implement any of twelve modulation types. Extensive discussions of the Shannon Limit, Nyquist filtering, efficiency measures and signal-to-noise measures are provided, radio wave propagation and antennas, multiple access techniques, and signal coding principles are all covered, and spread spectrum and wireless system operation requirements are presented. Earl McCune is a practising engineer and Silicon Valley entrepreneur. A graduate of the University of California, Berkeley, Stanford University, and the University of California, Davis, he has over thirty years of post-graduate industry experience in wireless communications circuits and systems. Now semi-retired, he has founded two successful start-up companies, each of them winning industrial awards for their technical innovation.